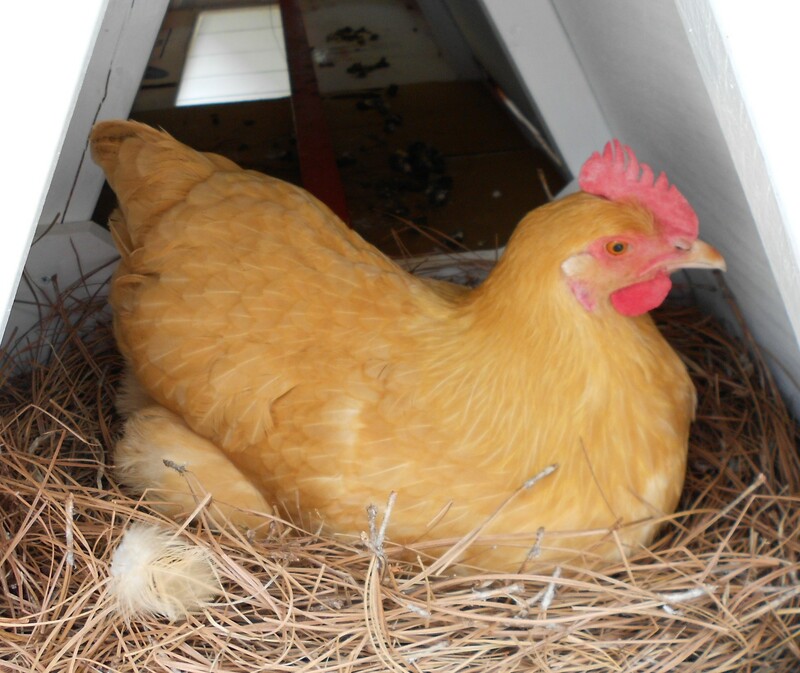 My beautiful yellow girl laid her first egg this morning! She’s been checking out the nest boxes for about two days now, and doing the “chicken squat” for about two weeks. This morning she was working hard on her little project and she let me take a sweet picture of her. After about 30 minutes I heard the tell-tale sound of “BWWWWAAAWWWWWWK! I laid an egg, look at me, look at me!! !” and I went to the nest to collect this little treasure. My camera is still taking the occasionally “disco” pic, so this pink color is an effect of this technical difficulty. 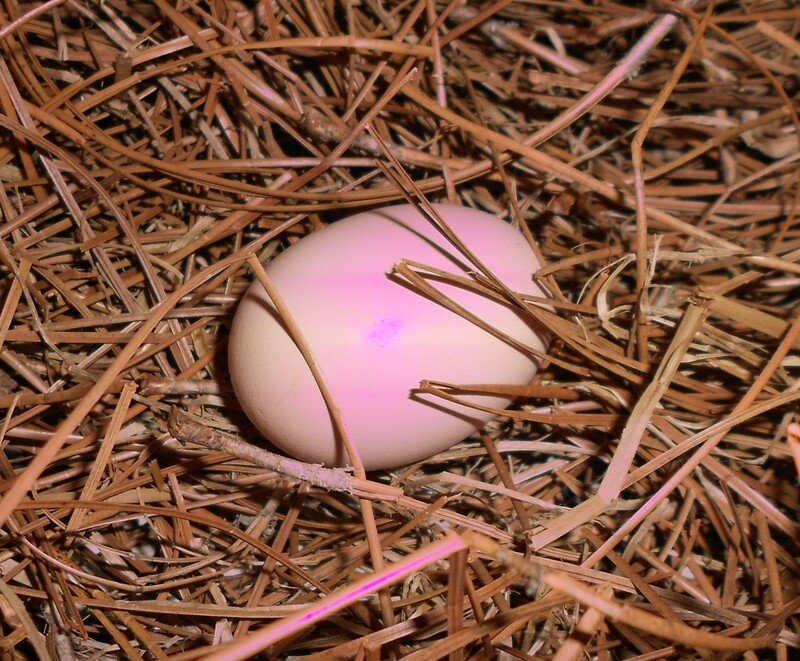 The egg looks almost identical to Violet’s and I was able to determine its maker only because Violet already gave me an egg this morning and it was in a different nest. It is shaped a little odd in that there is a less “pointy” end. It’s more oblong shaped as opposed to egg-shaped. Again the color is almost identical to Violet’s eggs and in the future, unless I actually see a bird sitting on a particular egg I won’t be able to tell if it belongs to Violet or Daisy. No matter. They’re all beautiful and nutritious. I think maybe some of you can guess who gets this very first Daisy egg. Stay tuned to find the answer in Tuesday’s post. My egg carton is nearly as full as my heart. Way to go little Daisy. Blonde power !!!! Goooooo Daisy ! I don’t know how I missed this good news! Great going, Miss Daisy. I’ll tell Miss Daisy that Auntie Lynnessa is proud of her!